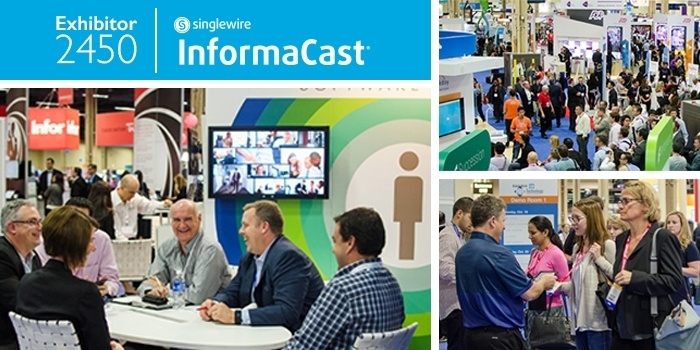 Next week, Singlewire Software will be on-hand for the HR Technology Conference and Expo in Chicago. The event is the world’s biggest conference for HR technology and focuses on the business processes and organizational successes technology enables. The conference will cover the latest HR trends, including SaaS, cloud technology, social media, mobile, analytics, video, gamification, big data and MOOCs. It will also feature traditional technologies and processes that are still in use. Senior executives from leading organizations will deliver sessions that offer real-world lessons and practical takeaways. These sessions, coupled with the latest vendor solutions available on the Expo floor, provide an ideal learning opportunity about the latest HR technology trends. The conference has a wide variety of resources available to help prepare for the event. Check out the official blog, or follow the conference on Twitter, Facebook and YouTube.